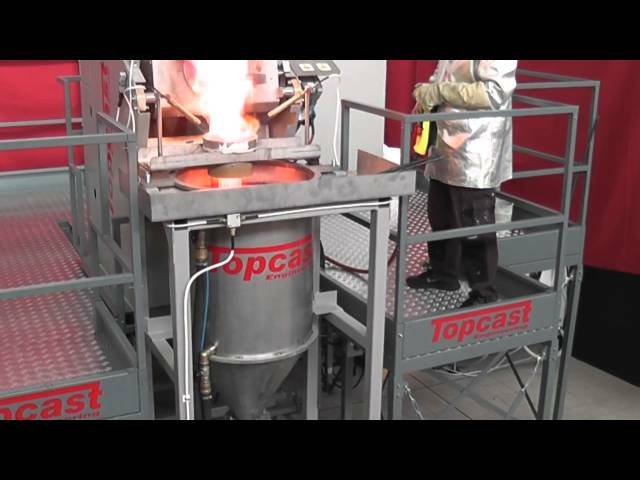 Topcast TMF-G induction melting plants are made for producing metal grains. The melting crucible pours the metal in a multihole tundish from which the metal droplets drip down in a cooling tank. All this is done with protection from oxidation by means of gas burners. Additional modules perform the grains removal, drying, weighing and packing. TOPCAST develops ovens of this class under customer specifications, in particular as regards the type of metal, the capacity of the crucible, the required productivity. In case you're interested in receiving a quote please send your techical specifications.